Learner drivers can acquire competent road safety skills, in addition to the requirements for passing their driving test, at the Jamaica Automobile Association (JAA) Driving Academy, says Lundie Martin, driving school coordinator. Professional driver education for learners, who are seeking to attain their licences is essential, to reduce the high level of fatal motor vehicle crashes in Jamaica, Ms. Lundie stated. This training is valuable because new drivers are the ones who are most prone to causing these crashes. Road crashes are the leading cause of death in Jamaica among young people in the 15 – 29 age bracket, Ms. Lundie pointed out. In addition, studies by the United States-based Insurance Institute for Highway Safety indicate that crash rates are highest for newly licensed drivers who are still learning to handle difficult traffic conditions. 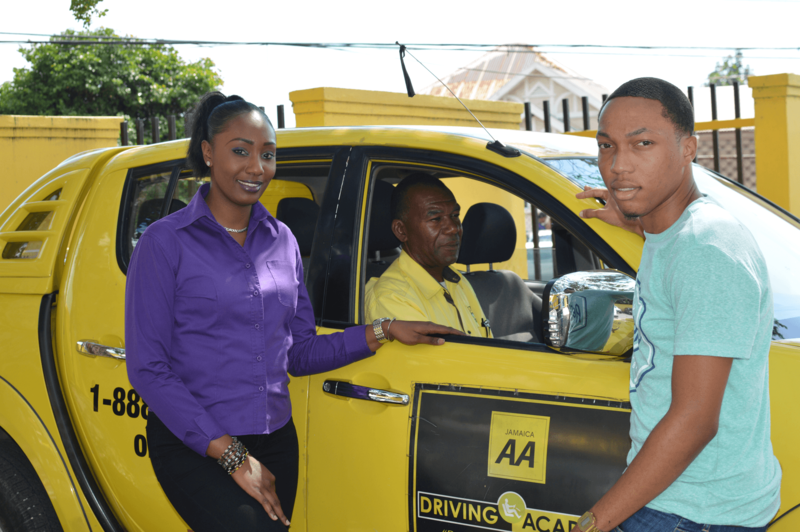 Lundie Martin (l), JAA Driving Academy coordinator, alongside Barrington Anderson (c), driving instructor, and Vernon West, academy graduate, with one of the training vehicles. Established in 2013, the JAA Driving Academy offers classes for learner drivers; and a driver improvement programme, which helps licenced drivers to reduce their on-the-road risk exposure. 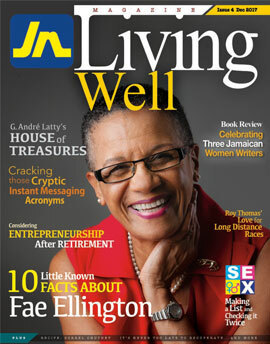 An outgrowth of the Jamaica Automobile Association (JAA), the Academy is located at the JAA Headquarters beside the Swallowfield Examination Depot St Andrew. At 20, and a Vocational Training Development Institution student in architecture, Vernon, sometimes uses his parents’ car to run errands; however, he basically needs a driver’s licence in preparation for going overseas to study next year. Lundie Martin (l), JAA Driving Academy coordinator shares a joke with Vernon West (c), academy graduate, and , Barrington Anderson, driving instructor.